I was given the chance to talk about why I have invested in the Big Bath City Bid on Tuesday 4th August on BBC Radio Bristol and BBC Radio Somerset. They asked some basic, and one personal, questions: Why did you invest? How much? What does the club mean to you? What are your hopes for the 2015/16 season? and finally the most difficult one; do you think it will succeed? Now this opportunity only gave me a few seconds to respond to each question, but I’ll now put down my thoughts and answer each question in length. Hopefully by the end you will be asking yourself these same questions and getting on board with the Bid. I invested because I want my club to survive and succeed. I don’t want my club to go bust and have to start again with nothing. 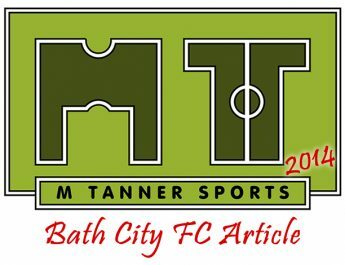 Bath City is in a great position to be taken over at the moment, why wait for it to die? We own our ground, play at Conference South level, have a loyal fan base and a very talented team signed on for the season. I don’t want to have to lose all of that if we don’t have to. There is still room to grow the club in every area on and off the pitch. In many years from now I’d love to see Bath City in the Football League under a sustainable community ownership model. Under that community ownership model, which is what the Bid is proposing, we couldn’t make a loss. In the constitution the club can not spend beyond it’s means. The power would then be in the fan’s hands, not more hoping for a millionaire to come in and buy the club, and then walking away again. If the people of Bath want a better football club then they will come through the gate and enable the club to spend what it earns. The shareholders in this new model will have one vote to one person. This is regardless of social, political, economic status. It will be the last time people have to dig deep to get the club out of debt. 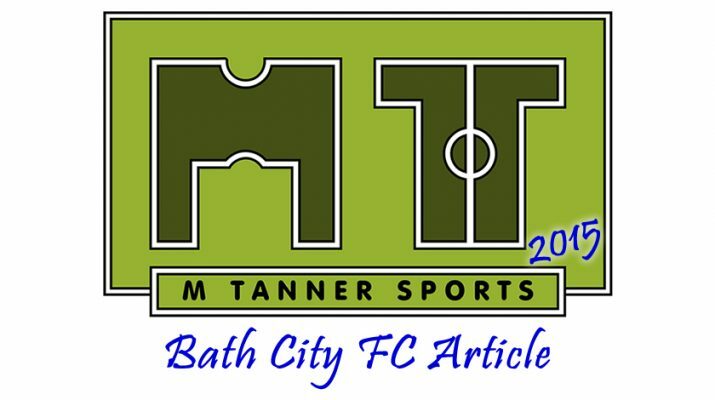 Those that do invest can then make history for Bath City by giving the City a team to be proud of. It can then be as successful as we want it to be. I’m not a rich man by any stretch of the imagination. I got lucky to move to a job that already has a similar ownership model and gives it’s profits back to it’s workers. So I saved this money, this bonus, and was able to afford to invest in a project much bigger than me. I’ll probably never be rich but I can try and make a difference. What the club means to you? It means a lot, it’s not the be all and end all, but it’s been a constant means of escape growing up. It’s much more than just 90 minutes. I can still remember my first visit to Twerton Park. Looking up at the main stand, as you approach the turnstiles, and thinking wow! How did something this huge manage to pass me by in the first 12 years of my life. At 12 years old I only knew about football from the TV, I never played the game much as a kid and didn’t come from a football family. World Cup 1998 was the first tournament I remember taking a vague interest in; updating my wall chart for the few weeks it was on. Yet it still took me another few years to visit the club that was less then a 20 minute walk away. Yet the real deal was right on my door step the whole time; live football! After that first game I started asking my parents and other adults about the club. It opened doors of conversation with people a lot older than me, a common ground full of passion and excitement. You then get to talk to people from all different walks of life and build your confidence in the pubs gardens before the game. Then there are the games themselves. This is where you see the raw energy and excitement from people you didn’t expect. Your parents burst into life after a bad challenge or a goal, adults around you forget their day jobs and are absorbed by the action on the pitch. Adults aren’t suppose to act like this! Shouting, signing, laughing together on the terraces, it’s a side to people you never really see in the street. Nothing like the plastic seats you see on the TV. TV fills people with fear and loathing. Football is a violent game they tell you from a young age with images of fans fighting. It’s nothing like that at non league level, anti social behaviour is laughed off. You get to walk around the whole ground throughout the game. There is the chance to swap football stories with oppositions fans at half time whilst queuing for tea. The camaraderie at the game is captivating, you can’t help but be sucked into it. Anyone can start a song, young/old, rich/poor, black or white, and everyone joins in. You’re doing it for the pride of where you come from. So yeah Bath City means a lot to me, it helps you escape from the pressures of growing up and everyday life as an adult. It puts excitement back into the week in the winter time and gives you a chance to see you mates and actually talk to them rather than clicking ‘like’ all the time. This is one of the hardest questions to answer because I can’t look beyond the Bid being successful. That would be the ultimate success of the 2015/16 season for me and many other fans. Looking at on the field matters though and every football fans want’s their team to win every single game they play. I’d like to see City get in the play offs this season. We’ve come close for the past few seasons since being relegated from the Conference Premier. It would bring some much needed excitement to the end of the season and see Twerton Park rocking again. The squad that Adie and Lee have put together looks more than capable of achieving this and it’s something that the players want. Roll on Saturday 8th vs Wealdstone at home! Do you think that the Bid will succeed? This is by far the most difficult question to answer by far. I choked a bit on the radio with this one. Naturally I want it to succeed otherwise I wouldn’t have invested or be bothering to write this long piece for you to read. But do I think it will succeed? I think it will. We have a fantastically committed Bid team comprised of some of the brightest minds in Bath at the moment. The work they have done so far is great; securing celebrities to promote the message, selling merchandise, putting on events and manning City centre stalls. However they do need you help right up to the last day of this Bid. We have 31 days to raise 81% of the money needed and that’s daunting. It won’t put off me from supporting it though and certainly won’t put off the team. Just make sure you get in touch with me on here or with the team to offer your help. It doesn’t have to be financial it can be with fundraisers, match day help, sponsored events, anything to help. I hope you have enjoyed reading his and please follow the links below to pledge your support to the cause. I’m not leaving this up to 12 men in a room, neither should you! Thank you and see you on Thursday night! Pat Nevin (ex Chelsea and currently sports presenter) comes to town on Thursday night for a football Q&A, he’ll be joined by Stuart James (ex Bath City and current Guardian sports journalist), Adie Britton (Bath City Director of Football) and Nick Thompson (former Hull City MD). It’s at the Bath Hilton Hotel in the heart of the City, tickets at just £10 or £5 if you’ve invested in buying a share already. Well you should all be shareholders after this article right? !